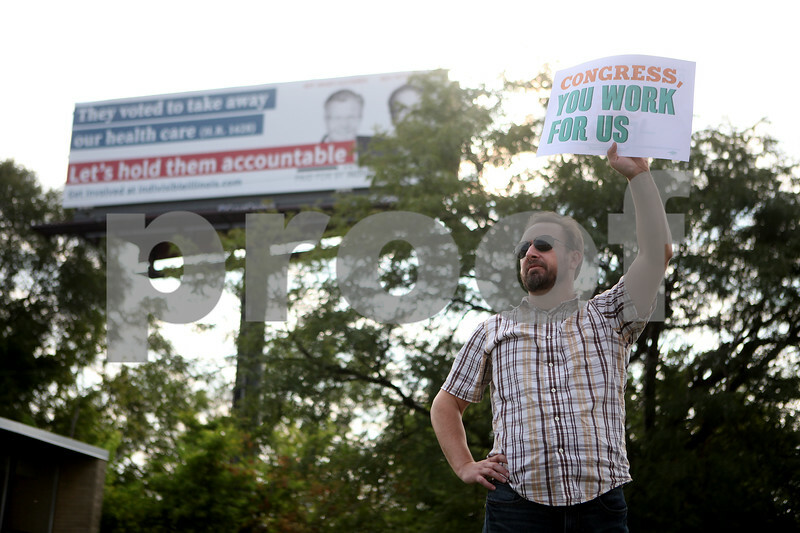 Billy Malecki of Geneva holds a sign next to a billboard featuring Congressmen Randy Hultgren and Peter Roskam on Route 38 in Geneva Township. The billboard is part of the Indivisible Billboard Project to hold the legislators accountable for their vote on the American Health Care Act. Though the bill passed the House, another version of it failed in the Senate. Indivisible is a national movement countering President Trump’s initiatives and policies, particularly the Affordable Care Act.